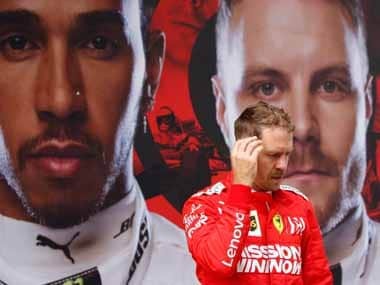 Monaco: Sebastian Vettel secured a memorable one-two for Ferrari in Sunday's 75th Monaco Grand Prix to extend his world championship lead to a luxurious 25 points over Lewis Hamilton. 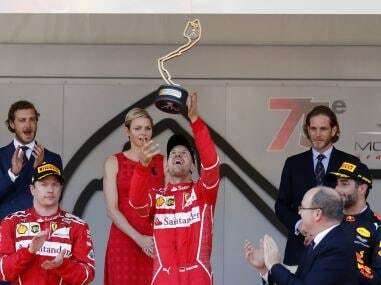 Taking full advantage of generous support from his team-mate Kimi Raikkonen, who led from pole position to the start of the pit-stops, the four-time champion came home 3.1 seconds clear of the Finn in glorious Mediterranean sunshine. Vettel's success was Ferrari’s first in the principality in 16 years since seven-time champion Michael Schumacher triumphed in 2001. It was the 82nd 1-2 in the team’s history. 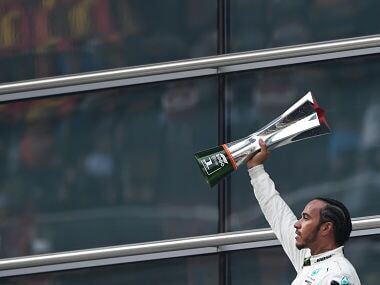 It was also the 29-year-old German’s second Monaco triumph, his third win this year and the 45th of his career, lifting him 25 points clear of Hamilton of Mercedes in the title race. Australian Daniel Ricciardo, who was unlucky not to win last year, finished third for Red Bull, despite hitting the barrier at Ste Devote, ahead of Valtteri Bottas of Mercedes and Dutch teenager Max Verstappen in the second Red Bull. Carlos Sainz was a well-judged sixth for Toro Rosso ahead of Hamilton, who had started 13th, and Frenchman Romain Grosjean of Haas. Felipe Massa was ninth for Williams ahead of Dane Kevin Magnussen in the second Haas. Jenson Button, back for one race to replace two-time champion Fernando Alonso, who was due to race at the Indianapolis 500 later Sunday, retired his McLaren after a collision with German Pascal Wehrlein’s Sauber. The crash left Wehrlein’s car on its side at Portier, but he was unhurt. On a perfect afternoon on the Cote d’Azur, the track temperature was 50 degrees and the air 26 as the drivers stood for a minute’s silence in memory of the victims of the Manchester terrorist attack. At the start, Raikkonen pulled clear to lead from Vettel and Bottas with Hamilton passing Vandoorne to take 12th on the opening lap. The conditions were ideal for sunbathing, but not for race incidents as the field stretched out, the top eight remaining in grid order. By lap seven, Raikkonen was two seconds clear of Vettel and 5.2 ahead of third-placed Bottas. Hamilton’s frustrations behind Kyvat were clear before he complained on team radio. “Our race comes later,” said his engineer ‘Bono’. On a circuit with only two possible overtaking places – at Ste. Devote and at the chicane after the tunnel, both requiring co-operation – this was hardly welcome news for those hoping for something other than a processional contest decided by pit stops or reliability. Hamilton finally advanced one place after 16 laps when German Nico Hulkenberg retired, his Renault spewing oil at Portier. When Sergio Perez pitted, from seventh, for front wing repairs, he was 10th. 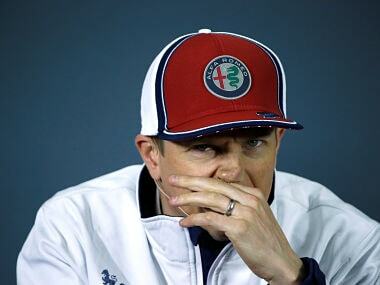 By lap 27, Raikkonen was behind Button’s McLaren, but without blue flags waved to tell the Englishman to move aside. “How close do I have to get?” said the Finn. This delay allowed the leaders to close up until, on lap 28, they surged past Button. Raikkonen then passed Wehrlein who, briefly, held up Vettel. The gaps re-opened to 1.5 and 3.5 seconds with Ferrari in clear command. 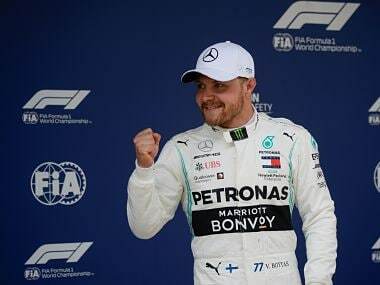 The first leader to pit was Verstappen from fourth after 32 laps followed immediately by Bottas whose Mercedes’ crew did their job 0.8 seconds quicker than the Dutchman’s. When Vettel pitted after 39 laps, he rejoined in the lead ahead of Raikkonen with Ricciardo third, thanks to fast pre-stop laps, and Bottas fourth. For Ferrari, it seemed a perfectly executed plan to enable Vettel to win, and boost his drivers’ championship bid, had unfolded. Hamilton finally came in after 45 laps from sixth, rejoining seventh, but Vettel was out of sight, nine seconds down the road and clear of Raikkonen, with Ricciardo a further five seconds adrift in third. By lap 50, it was 10.2 seconds and the paddock was abuzz with claims about Vettel’s undisputed status as Ferrari’s number one driver. Attention was soon refocused on the track when, on lap 60, the Safety Car was deployed after Wehrlein was tipped into the barrier at Portier. Verstappen took advantage of the pause to pit for fresh ultra-soft tyres before, when the action resumed after 66 laps, the final chase, and battle of attrition, began.